NAHA, OKINAWA PREF. 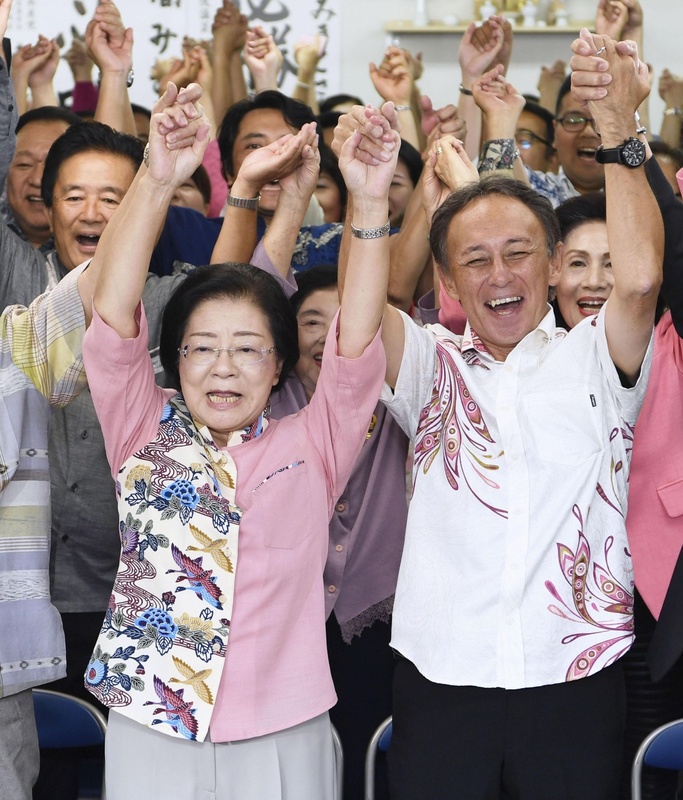 - Incumbent Mikiko Shiroma, 67, was re-elected as Naha mayor on Sunday, beating Masatoshi Onaga, who was backed by the ruling Liberal Democratic Party and Komeito coalition. Shiroma won 79,677 votes, against Onaga’s 42,446 votes, with a voter turnout of 48.19 percent. 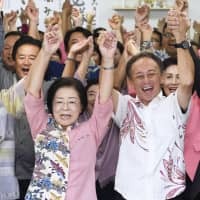 Shiroma’s victory adds momentum to Okinawa Gov. Denny Tamaki and opposition parties opposed to the relocation of U.S. Marine Corps Air Station Futenma to the Henoko district off Nago within the prefecture. But of the 11 city mayors in Okinawa, only three, including Shiroma, are opposed to Futenma’s relocation to Henoko. The ruling coalition will likely be forced to review their election strategy for next year’s local elections, as well as the Upper House election slated for the summer. Shiroma was first elected as Naha mayor four years ago as a successor to late Okinawa Gov. Takeshi Onaga, who previously served as Naha’s mayor. Tamaki also backed Shiroma, stumping for her right from the start when the election campaign kicked off. She has also pushed to make medical services for children and education for preschoolers free of charge, gaining support from a wide range of voters. Shiroma told reporters that her victory will give momentum to what Tamaki is trying to achieve at the prefectural level. “There are various sentiments projected in the election results, like ‘No more new base in Henoko,’ and ‘Create a peaceful Okinawa,’ ” Tamaki said.